Most of the people during the summer like to have their nails done in blue color. Painting all the nails with blue color appears to be cool and adding some glitters to two fingers per hand gives more fun to the look. The glitters are done with gel polish as well as for the blue color. 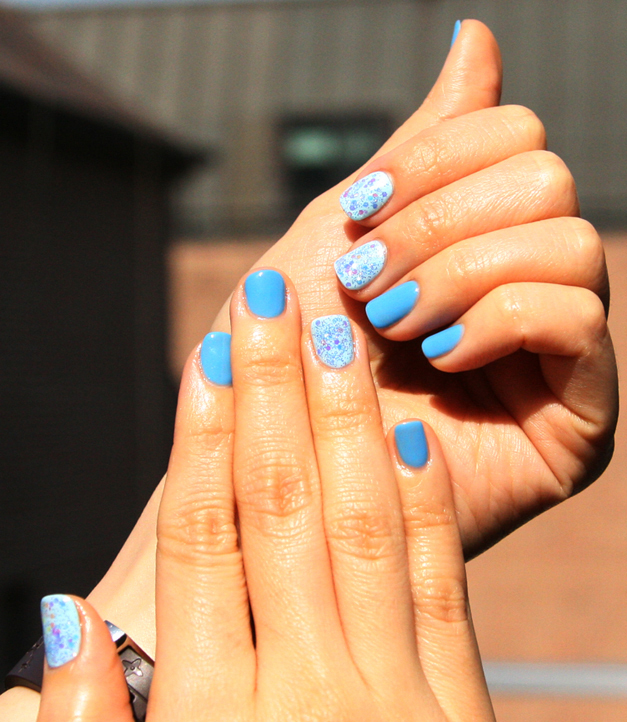 When the light blue meets the sparkles it is perfect nail for summer. This color also goes well with people who have short nails. It is adorable nail art. Don't hesitate to try out this kind of color and by adding some sparkles it gives very fresh look. It is a great look for summer and even for people who have short nails like mine. 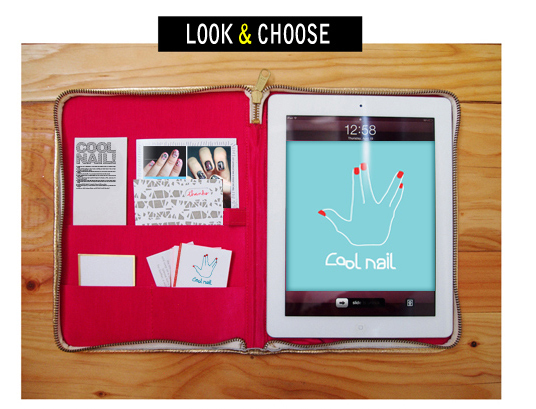 Also in cool nail we could do any nail art according to the shape and size of the nails. This manicure is super pretty!